Premier League Tips: How Will Manchester United, Manchester City, Arsenal & Chelsea get on this weekend? It’s another big weekend of Premier League football, with the London derby between Arsenal and Chelsea headlining what promises to be another fascinating matchday. With 22 games played, things are certainly hotting up at both ends of the table, with Manchester City and Liverpool battling it out for the Premier League title, while a host of sides attempt to steer clear of the relegation zone. Bournemouth v West Ham: Home win: Eddie Howe’s men have lost seven of their past nine matches after an impressive start to the season. They’ve been getting closer in recent weeks, and could have the perfect opposition in order to change round their fortunes. While West Ham are ninth in the Premier League table, it’s these sorts of games they’ve struggled in - equally capable of turning over Arsenal than they are of losing to Burnley. Providing Cherries top scorer Callum Wilson is back fit, you’d back the home side at 6/4 with the bookies. 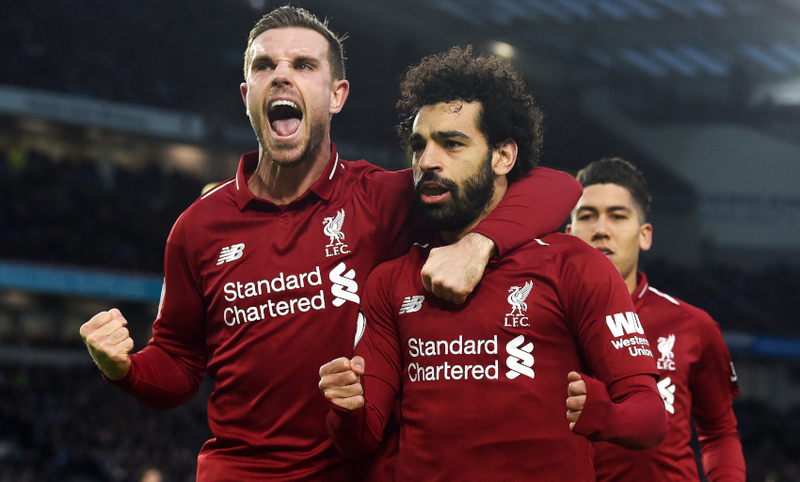 Liverpool v Crystal Palace: Home win: Premier League leaders Liverpool got back to winning ways after Man City ended their unbeaten start, with victory at Brighton. Jurgen Klopp’s men did just about enough to come away with the three points, and it’s hard to see anything but a home win in this one. Yes, Palace shocked Man City a couple of weeks ago, but they often find themselves coming up short against the top six, and you’d bank on Liverpool making it back-to-back league wins with Mohamed Salah and company waiting to pounce. Manchester United v Brighton & Hove Albion: Home win: It’s been quite the dream start for Ole Gunnar Solskjaer as Man Utd boss. Victory at Spurs meant Solskjaer equalled Sir Matt Busby's all-time record of winning his first five league games in charge of Manchester United. They’re playing with more freedom and flair, with the likes of Marcus Rashford and Paul Pogba in outstanding form. Brighton have beaten United in their past two meetings, and with the visitors 12/1 to make that three in a row, you can surely count on that to change come Saturday evening. Newcastle United v Cardiff City: Home win: Rafa Benitez and his Newcastle are in desperate need of a victory in their battle to climb out of the relegation zone. They’re currently five league matches without a win, although three of those have come against Chelsea, Man Utd and Liverpool. A midweek FA Cup win at Blackburn at least gives them confidence, knowing three points will see them leapfrog Cardiff in 17th. Tough one to call but would just edge in favour of Newcastle now they might have a bit of momentum, and haven’t lost to Cardiff in three previous Premier League meetings. Southampton v Everton: Draw Things have certainly improved for the Saints under Ralph Hasenhuttl, with a much needed win at Leicester putting them a point above the drop zone. But an FA Cup home defeat to Derby puts their home record at St Mary’s back into the spotlight, with just one league win at home all season. Everton managed to end some poor form last week but have only won on the road twice so far, leaving the draw - probably a score draw - a great shout. Watford v Burnley: Home win: Sean Dyche returns to Vicarage Road on the back of three consecutive victories, but it’s going to be tough to make it four at another in-form side. Watford have only lost one in five, with the likes of Troy Deeney hitting top form and given their visitors poor away record, a home victory seems likely. Arsenal v Chelsea: Draw: The big match of the weekend takes place at the Emirates Stadium, in a huge London derby that could have massive implications in the race for a Champions League place. Chelsea are six points ahead of the Gunners, with Unai Emery’s men in the midst of some poor form. They lost to West Ham last week, and were humbled 5-1 at Liverpool last month. However, Maurizio Sarri’s side have won three in four with Eden Hazard firing on all cylinders and have only lost once to fellow top six teams so far, as opposed to Arsenal’s three. With so much on the line, it promises to be a cagey affair, and given Chelsea’s stubborn resistance under Sarri, a draw could well come through for you, as it did in last year’s fixture. Will 2-2 be the correct score once again? 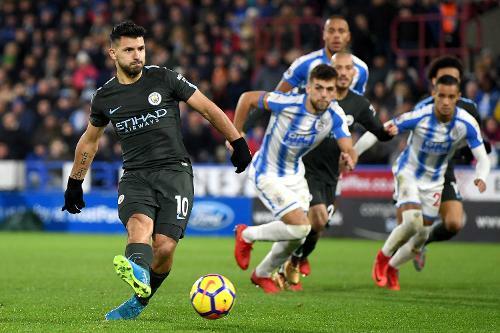 Huddersfield Town v Manchester City: Away win: No prizes for guessing which way we see this encounter playing out. Pep Guardiola’s Man City have been dominant in recent weeks, winning their past five in all competitions, scoring 24 times. Huddersfield are now without a manager following the departure of David Wagner, with their draw to Cardiff last week ending a run of nine straight defeats. Huddersfield are 22/1 to end their barren spell on Sunday - good luck with that! Fulham v Tottenham: Away win: It’s certainly a good time to be playing Spurs, with Harry Kane and Son Heung Min missing - 47% of their league goals this season. Having said that, Fulham are in deep trouble, coming off the back of defeats to Burnley, Oldham and Arsenal with just one win in their past 10 matches. Even without Kane and Son, Mauricio Pochettino can still call upon the likes of Dele Alli, Christian Eriksen and Lucas Moura, suggesting they’ll still provide too stiff an opposition for Fulham. Think you’re a bit of a football expert? Come and put your football predictions to the test this weekend and get your hands on some big cash prizes!